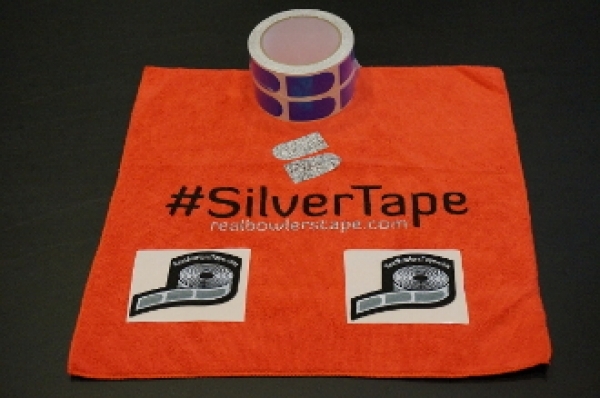 Since the original Bowler's Tape was invented by Chris Keller, many companies have tried to duplicate the original product, but have failed over and over again. Mr. Keller's vision of The Bowler's Tape was to supply a product that could modify the grip of a thumb hole in a bowling ball without leaving any residue behind. As WE ALL know this is not the case in any of the products made available to us today. With the help of Mr. Keller we at realbowlerstape.com have searched worldwide to find the raw material and the craftsmanship to supply a product as good, or even better. Introducing BOWLERS TAPE: INVENTOR'S RESERVE.